As the shutdown of the federal government reached 32 days with no end in sight, local government agencies and nonprofits are bracing for the long-term impacts. "It's unprecedented on many levels," Kevin Bumen, SLO County's director of airports, said. 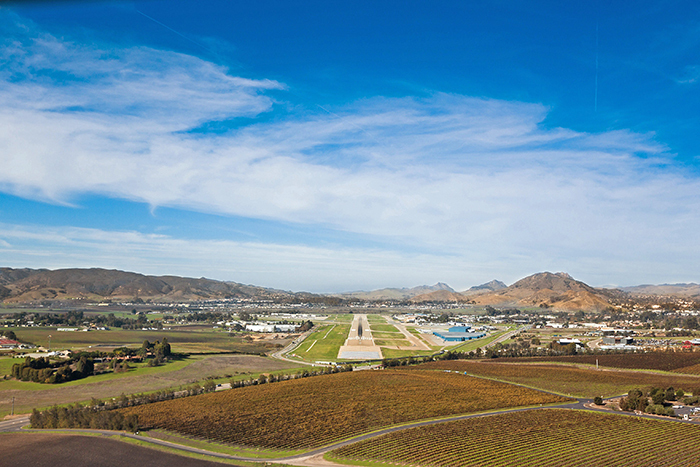 Like the nation's other airports, the shutdown affects both Transportation and Security Administration (TSA) employees and air traffic controllers at the SLO County Regional Airport. Bumen said that operations at the airport have remained unaffected thus far. Its air traffic controllers are employed under a federal contract that that is funded through February, and despite reports of record absences of TSA screeners at airports across the country, Bumen said the absence rate for TSA employees at the SLO County Airport was "at or below" its historic average. Still, Bumen noted that the further impacts were uncertain as the shutdown continues. "There's just a lot of questions out there," he said. Just 26 miles north of the airport, members of the U.S. Coast Guard in Morro Bay, along with 42,000 of their peers across the country, have gone without pay since December. Central Coast Rep. Salud Carbajal (D-Santa Barbara) visited Morro Bay's Coast Guard station on Jan. 19 to speak with members. "It is shameful that the men and women serving their country to keep us safe are being forced to work without getting a paycheck," Carbajal, who is forgoing his own pay in solidarity with federal workers, said in a written statement. Cambria resident Jim Mang created a GoFundMe campaign to collect money to help local Coast Guard members. As of Jan. 23, the campaign had raised $3,565 of its $100,000 goal. Some SLO County nonprofits are also feeling the squeeze during the shutdown. Peoples' Self-Help Housing, a nonprofit that helps provide housing for more than 5,000 low-income families on the Central Coast, is already dipping into its own funds to make up for a loss in government housing subsidies that dried up due to the shutdown. Peoples' Self-Help President John Fowler said the organization has been spending an estimated $100,000 a week, nearly $500,000 in total so far, to make up for the loss of federal funds because of the shutdown and to keep residents in their homes. "Clearly that's not money that these families have," Fowler said. "We are the safety net." Fowler said the organization began to prepare for the shutdown before it occurred and can operate fairly comfortably through February, but beyond that, it will have to begin making some "hard calls." Those tough calls will not include kicking people out of their homes, Fowler said. "We are not going to evict families because of the government shutdown," he said. "We are going to do everything we can to protect these vulnerable families on the Central Coast."